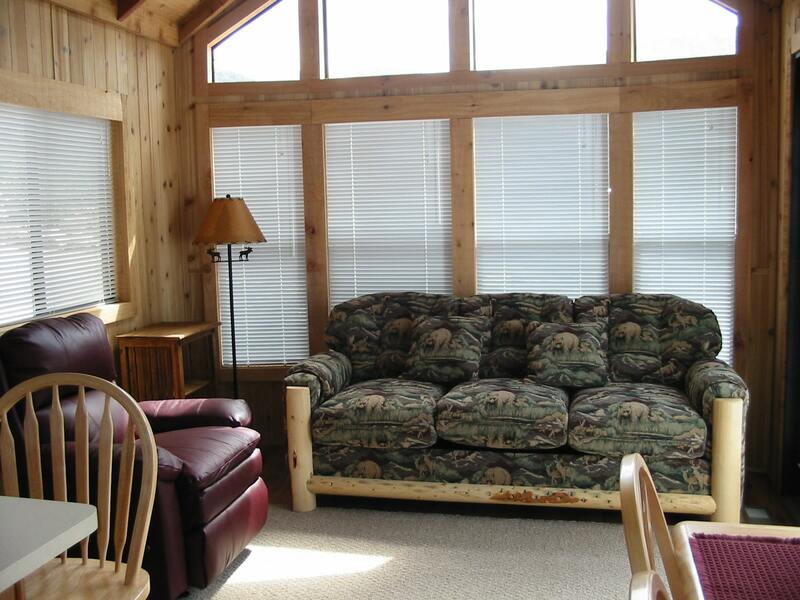 A Resort Cabin is the perfect place for planning your Rocky Mountain adventures and relaxing after your fun-filled days! Choose between a Deluxe Resort Cabin with full amenities or a Standard Resort Cabin for cost savings. Your two day stay includes FREE Breakfast*. 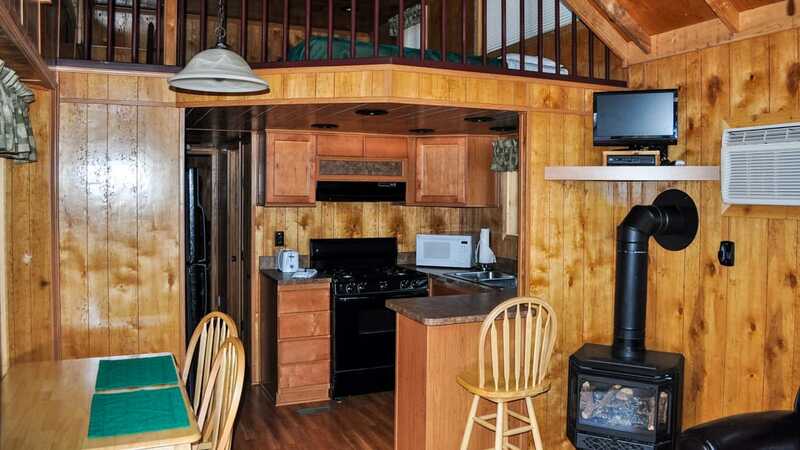 Our Resort Cabins are the perfect place to set up your base for all of your outdoor adventures. Your temporary mountain home offers sweeping views of the majestic Canyon walls and Rocky Mountains surrounding you. 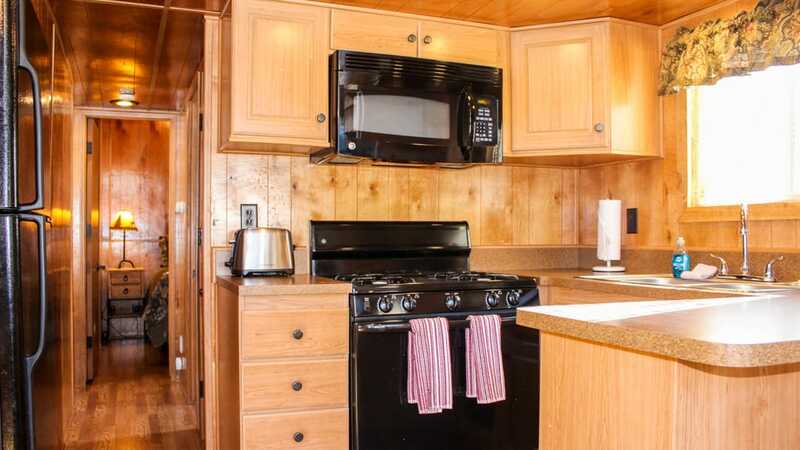 Although you may be in the middle of the mountains, you’ll have all the amenities that make you feel right at home with a full kitchen, dining area, full bathroom and living room with vaulted ceiling and flat screen TV. Select from a Deluxe Resort Cabin that includes all of your amenities or a Standard Resort Cabin for extra savings. 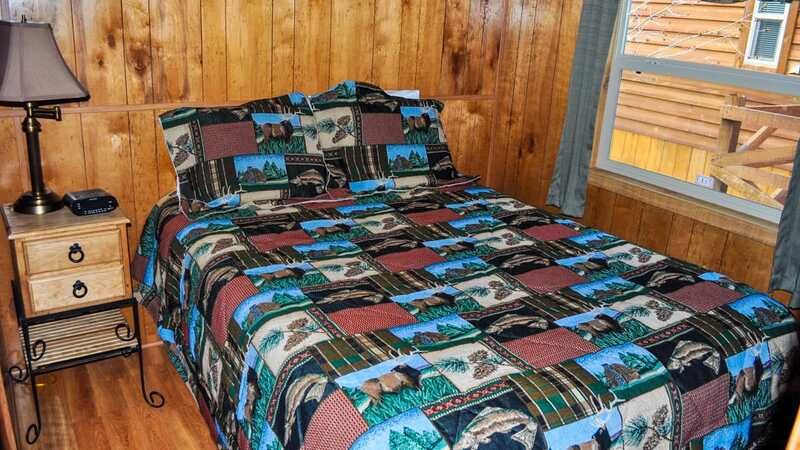 To realize those savings you will need to bring your own bed linens or sleeping bags and towels in the Standard Resort Cabin. *Free Breakfast is offered Memorial Day through Labor Day with a two day stay. 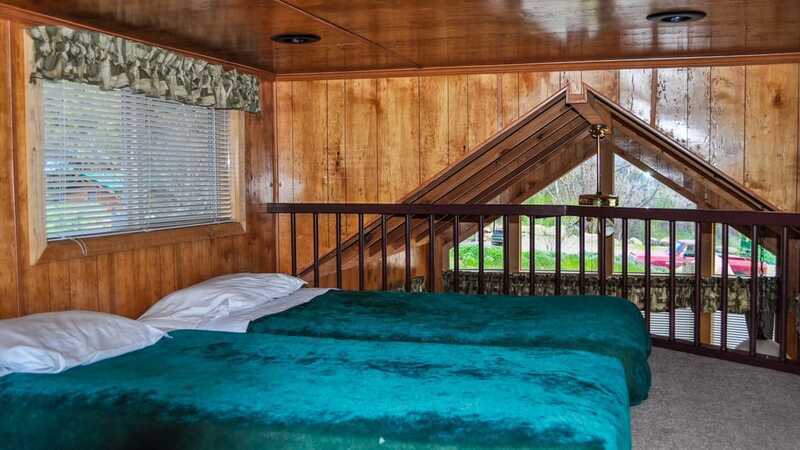 These cabins are designed for your summer and winter comfort! We know you’ll want to spend your time outside so we specially designed an over-sized deck with patio furniture for your relaxing pleasure. It’s the perfect place to hang out and enjoy the views. Did we mention you can even bring your favorite four legged creature with you? 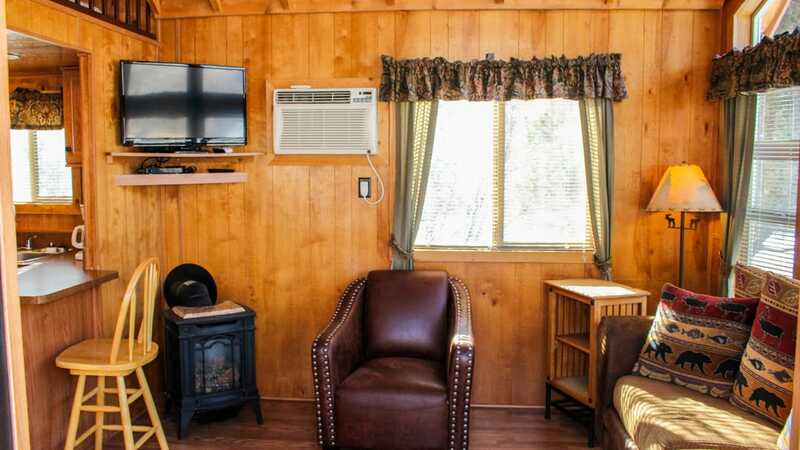 We have a limited number of designated “pet friendly” cabins you must reserve in advance so the entire family gets to go on vacation! 1 large or 2 small/med nonaggressive pets allowed for an additional fee. Please refer to pet policy. 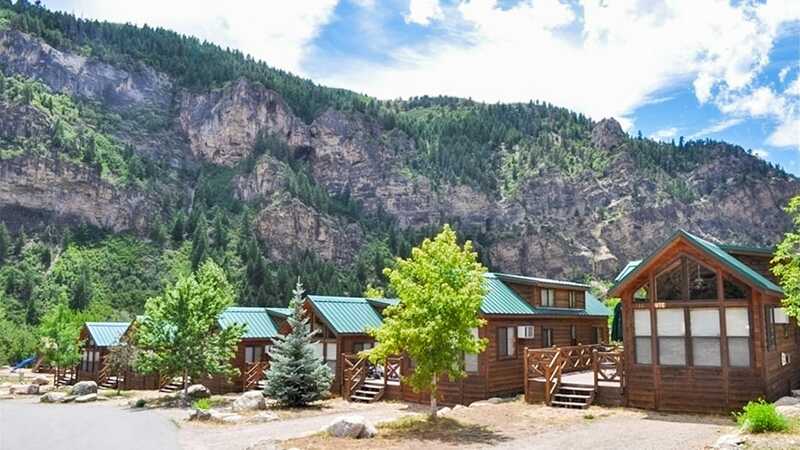 Once you experience the charm and comforts of these cabins and all we have to offer, you’ll make the Glenwood Canyon Resort your home away from home whenever you travel to Glenwood Springs!